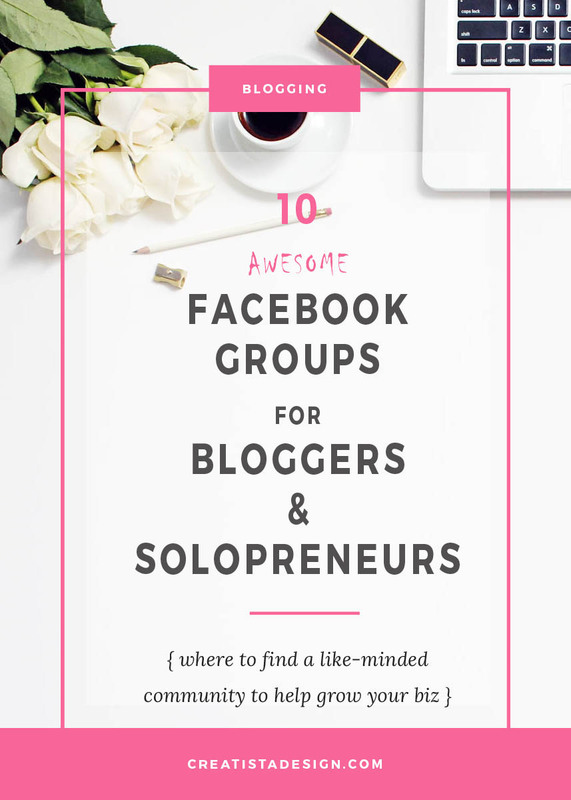 I promised a round-up of at least 10 awesome Facebook groups for bloggers, freelancers and solopreneurs, and here it is! 10 and counting as I’ll be adding to this as I come across the crème de la crème of kick-a..e womenpreneurs out there who are rooting for us and generously giving us so much expertise for free (that we know their paid-for products and services are going to be even more awesome). Melyssa Griffin is hugely likable and her webinars, free video series and email courses are manna from heaven to any struggling blogger, and even the pros! She jam packs her freebies so generously with amazing tips and actionable to-do’s and not the obvious! I always learn loads from her and love her disarmingly quiet, yet firm approach to licking her follower’s blogs and solopreneur businesses into shape. I particularly like her under-the-bonnet reviews of how she’s monetizing her business. You’ll automatically be part of the Blog + Biz BFF Facebook Group if you’ve opted in for one of her free courses. Join Melyssa Griffin’s Blog + Biz BFF >>. Erika Madden of Olyvia.co is another tour de force I came across around a year back. 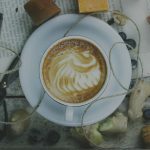 She focuses on branding and reputation but has classes and courses on pretty much every aspect of cutting it as a solopreneur, freelancer or blogger. Her Facebook Group may be newer than some others, having launched in March 16 for her subscribers and course-takers, but it’s shaping up to be the insider place to head to for support from Erika and her community. Caitlin Bacher is a social media strategist beyond compare and one with a big heart. 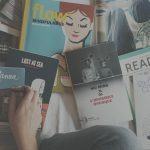 Her site – and Pinterest boards – are wham bang in your face with their candy pinks, blues and yellows, but brimful with valuable insider insights, tuts, tips and to-do’s on the shifting sand world of social. Type almost anything into Pinterest search relating to social, entrepreneurship and blogging and Caitlin’s posts romp home. Her Facebook Group has near on 10K so is clearly the place to rock and receive on social and the whole entrepreneurial shebang! Nathalie Lussier is a formidable woman having come from a background in software engineering. She has a well-deserved place in our group list through showing us some easy to implement yet incredibly game-changing blogger and solopreneur online strategies. Her focus is on training – specifically how to gain loyal subscribers and create digital products and services – ecourses – to sell them. Nathalie’s 30-day list building challenge is the lynchpin of her training and a must for anyone with goals of monetizing their blog. Her group is there to motivate you through thick and thin on her free course which Nathalie – sweetness, light and wonderfully non-techie – offers up in bite-sized emails and vids. Join Nathalie Lussier’s List Building Course. Her name alone singles her out, but Star, once you’ve come across her, is someone you’ll hang out with forever walking her walk as she moves her tribe from one to another of her many Facebook Groups. Star is a passionate, serial entrepreneur who started her freelancer career in an eco-caravan on a Spanish mountain. She loves to relate her story of how she grew her first tribe on a Holistic Cosmetology ecourse. Star is business savvy, kick-arse, plain-speaking British lass who used to turn up in her vids wearing cat ears and still probably will again. Her groups are incredible resources for anyone launching passive income streams or aiming to leave dollars for hours behind. Her ‘No Desk Required Group’ has just relaunched and judging by my last stint in it under its old guise, this one will prove invaluable to solopreneurs wanting to make it but not walk alone. Expect this group to the one of the most adventurous and fun! Run by graphic and web designer Marianne, of Designyourownblog.com, this group is aimed at helping freelancers with the whole shebang that goes in to the visual branding and related tech side of blogging and solopreneurship. Marianne has devised it as a creative and educational hub for blog/web designer – which we all are these days whatever our formal graphic design frics! Who doesn’t need guidance on visual branding and/or a toolkit of tuts, tricks and tips on that front? Both Marianne’s site and group are a must to hone your visual skills, whether you need advice and tips on landing pages or blog branding. 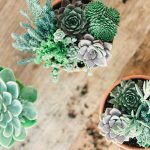 This Facebook Group gets back to the core business of blogging and is aimed at helping bloggers share their posts, know-how and pick eachother’s brains on key blogging issues. Social media do’s and don’ts feature highly as do other key blogger issues. The group runs promote your post and promotion Mondays. With nearly 15K members at the time of writing, this group is clearly one to head over to and join, particularly if you’re newer to blogging. The depth and breadth of shared expertise is staggering. OK, so a slight deviation here for my last one: Stephaine Gilbert’s The Hangout is a membership site so not a Facebook Group. But, it’s a cool place for anyone looking for support and inspiration on social media tips and visual story-telling. Host Stephanie is ace in visual aspects of social having been in her recent past life in charge of social media and visual story telling for Urban Outfitters. Stephanie’s The Hangout is a private community and resource library, open 24 hours a day, 7 days a week. Its purpose is to get members inspired, up their business and learn (she offer ecourses and short challenges such as on Instagram) and it offers as well a mastermind community. The community has a monthly challenge brought to you in her free Gram Gang newsletter and Hangout members enjoy unlimited access to a growing resource library including vid tuts, downloadable resources and member discounts. $10 a month or save $20 if you sign up for a year.